Tyler Blackwood says that even when she was young she had a vivid imagination, wanting to create new worlds, new villains, and new lovers. 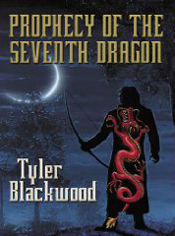 Blackwood's first novel Prophecy of the Seventh Dragon (2005) is the story of Eskarian Christopher Bartholomew who helps protect an unsuspecting humanity from alien monsters. 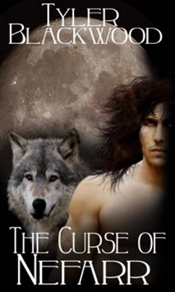 When Christopher discovers that he is in love with a beautiful demon wolf shapeshifter named Mackenzie, he finds his sense of duty at odds with his heart. Blackwood's second work, published in 2006, is Riana Unveiled: A Defender Novel. 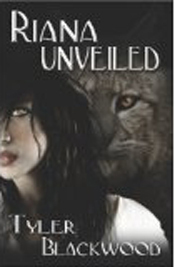 The novel's protagonist Valeriana Secundinus needs to protect her son from the nefarious Order of the Red Falcon and turns to feline shape-shifter Jason Velazquez for help. In the process of trying to save her child, Secundinus and Velazquez forge an uneasy alliance that is steeped in sexual tension. Blackwood's most recent work is The Curse of Nefarr (2007) - available as a Kindle edition - the story of Annalissa de Biassi who has five days before a curse will turn her into a wolf forever. It is during these five days that Annalissa loses her heart to the man sworn to kill all those of her kind.